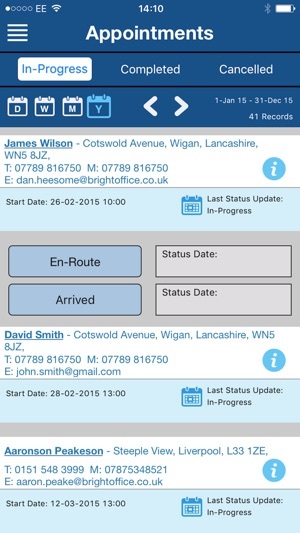 The new BrightOffice Mobile Phone application is designed to help businesses using the BrightOfficeCRM cloud solution to enable users to stay productive at work and on the go whether you are a sales representative, or you are a surveyor or an engineer carrying out a job instruction on your customers site. - View all appointments assigned to the Sales Rep.
- View all appointments filtered by Day, Week or Month. - View all appointments filtered by In-Progress, Completed or Cancelled. - View Telesales Prospect Records filtered by User Permissions. - View Customer Records filtered by User Permissions. - Ability to be able to “Create” a new prospect on the BrightOffice CRM. This will also assign the Sales Rep as the Source against the record created. - Ability to be able to “Complete” a Questionnaire with Business Form Status, based on the relevant Questionnaire assigned to the customer type. This information will the synchronised with the BrightOffice CRM and will be viewable against the Prospect/Customer Record within the questionnaires Tab. - Ability to be able to take photographs using the Smartphone Camera. These photographs will be synchronised with the BrightOffice CRM and will be viewable against the Prospect/Customer Record within the Data Folder. - Ability to have set “Milestone” Buttons display on the Application to enable the representative to press at the requested times. An example of this would be “En-Route”, “Arrived”, “Appointment Completed”. 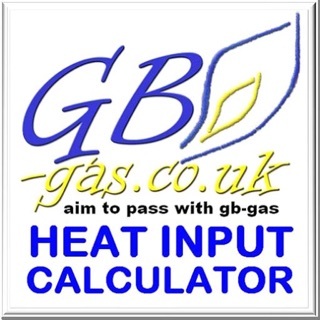 - View all appointments/jobs assigned to the Installer/Surveyor. 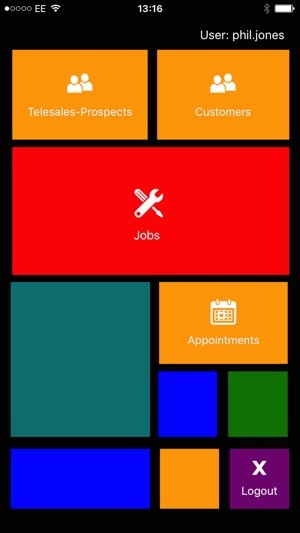 - View all appointments/jobs filtered by Day, Week or Month. - View all appointments/jobs filtered by In Progress, Completed or Cancelled. - Ability to have set “Milestone” Buttons display on the Application to enable the representative to press at the requested times. An example of this would be “En-Route”, “Arrived”, “Installation Completed”. - View all Training Courses assigned to the Trainer. - View all Training Courses filtered by Day, Week or Month. - View all Training Courses filtered by In Progress, Completed or Cancelled. - View Learner Records filtered by User Permissions. - View Company Records filtered by User Permissions. - Ability to have set Course stage buttons display on the Application to enable the Trainer to press at the requested times. An example of this would be “Training in progress”, "Training Completed”, "Training Cancelled". - Administrators have the ability to view and manage Training Courses which are assigned to their User. 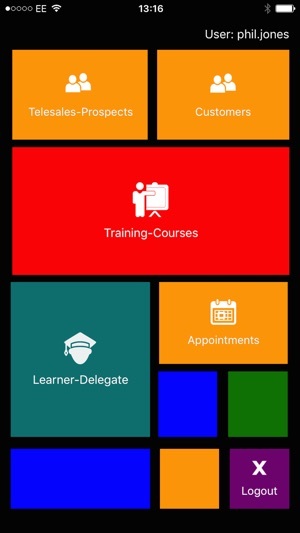 This means that remote updates and on-the-go amendments can be made via the app, keeping the Trainers in sync with the Admin team and avoiding mismatched Course Dates, Venue changes etc. 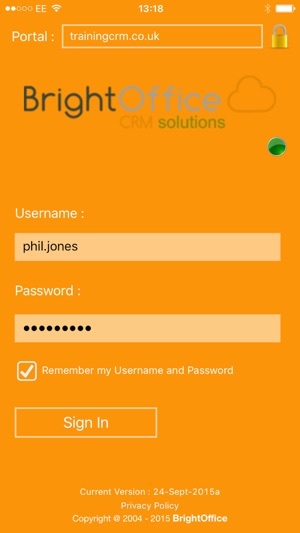 The Application user requires a BrightOffice CRM user licence to be able to log into the application. The Device must have a data connection via either the SIM card data connection or a Wifi connection to enable viewing and Synchronisation.